Digital precision vane anemometer for air/gas, permanently connected cable, adapter cable with ALMEMO® D6 plug. 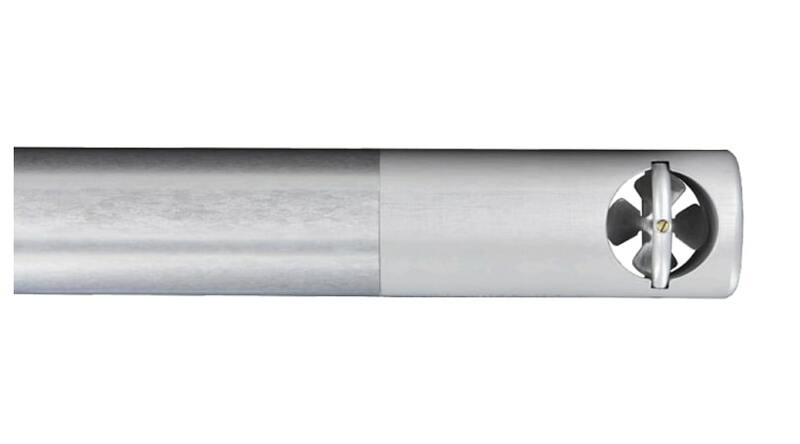 The precision probe heads and the sensor shaft are made of aluminium. The flow velocity is recorded with high accuracy. Every vane anemometer is adjusted individually. The multipoint adjustment is saved within the ALMEMO® D6 plug. density can be compensated. The density of the gas can be programmed within the ALMEMO® D6 sensor menu on the ALMEMO® V7 device. 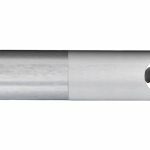 The construction type as a cylindrical probe is optimised for safely introducing the probe in a flow channel. Probe head and handle have the same diameter. The rugged construction is suitable for mobile as well as for stationary measurement operations. The ALMEMO® D6 plug measures the frequency signal of the vane with high resolution. 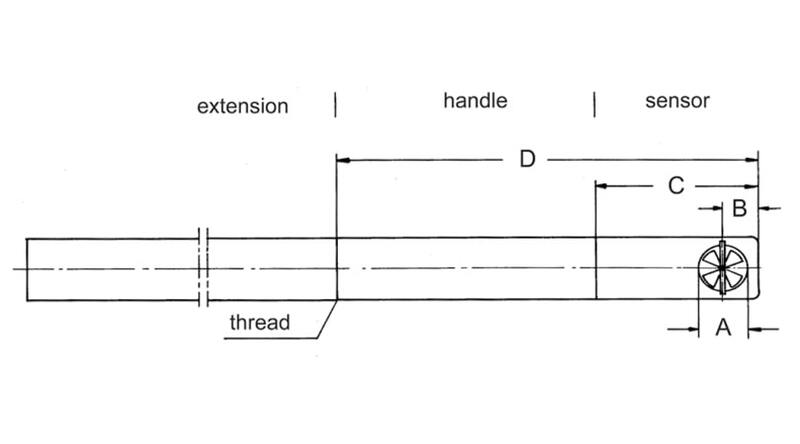 One measuring channel is programmed (at our factory): flow velocity v (m/s). Digital vane anemometer for air and gases, up to 40m/s and up to 260°C. Integrated fixed cable with ALMEMO® D6 plug. Digital vane anemometer from 0.2 to 20 m/s with permanently attached brass head, fixed cable and adapter cable with ALMEMO® D6 plug. Digital vane anemometer for air and gases, up to 40m/s and up to 125°C. Integrated fixed cable with ALMEMO® D6 plug. Digital Vane Anemometer from 0.2 to 20 m/s with snap-on head, fixed cable and adapter cable with ALMEMO® D6 plug. Digital vane anemometer for air and gases or for liquids, up to 40m/s and up to 100°C. Integrated fixed cable with ALMEMO® D6 plug.